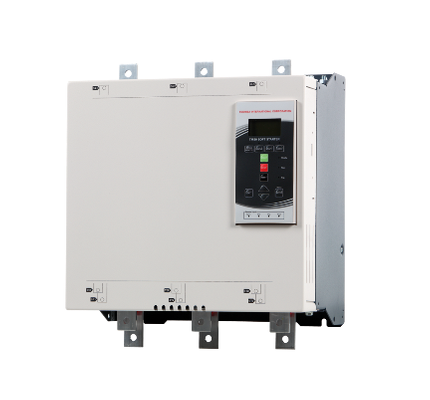 Digitally controlled motor starters with power range from 7,5KW to 1MW. Built in By-pass up to 110KW. AAC auto adapting ramp control for TMS9! Emergency operation even with a failed SCR! LCD programmable display with graphics about motor starting performances! 6 Wires connection available and RS485 or bus comunication avaliable. Current limit or current ramp motor start and Thermal and I2T motor protection.